He cobbled together a prototype using heating wire and a power supply found in his basement, before discovering a manufacturing company that made other heated electric mats and blankets. An initial run of 20 mats sold quickly to his friends and on eBay, but he set aside the project for eight years until time freed up in 2018. He resurrected the idea and ran a successful Kickstarter campaign for it before fully launching Toasti in January. Today, Toasti is based out of Launchhouse. 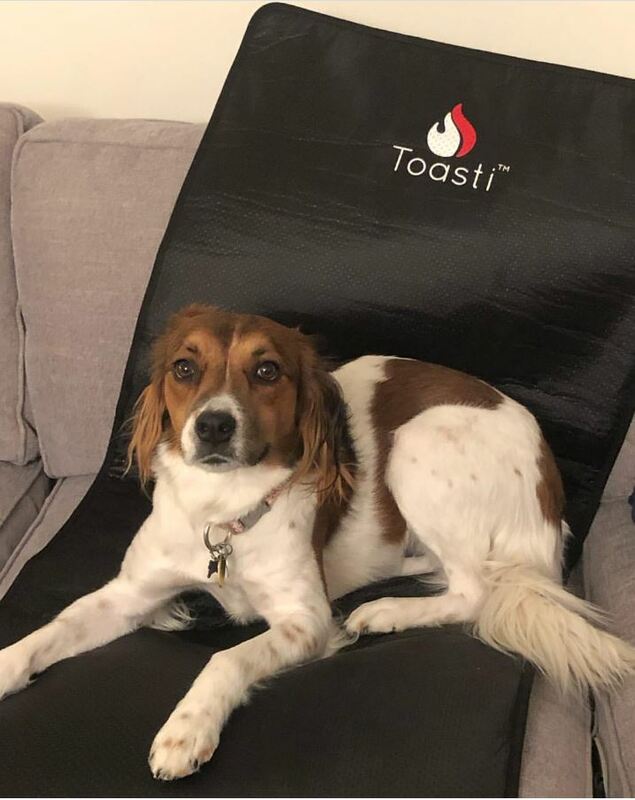 The ToastiMat has evolved to feature a different finish on each side (smooth canvas or grippy bumps), a timer, and a temperature control with four heat settings (“I set it on a one if I want to sleep on it all night. I set it at a four if I want to start sweating,” adds Bargiel). The 90-inch cord plugs into any standard outlet. While the mat was created for home yogis, the uses go far beyond just exercise. Bargiel used it during a particularly cold winter while working on his car. He’s taken it camping and sometimes sleeps on it at home. People have used it for their pets or to keep warm in a cold office. 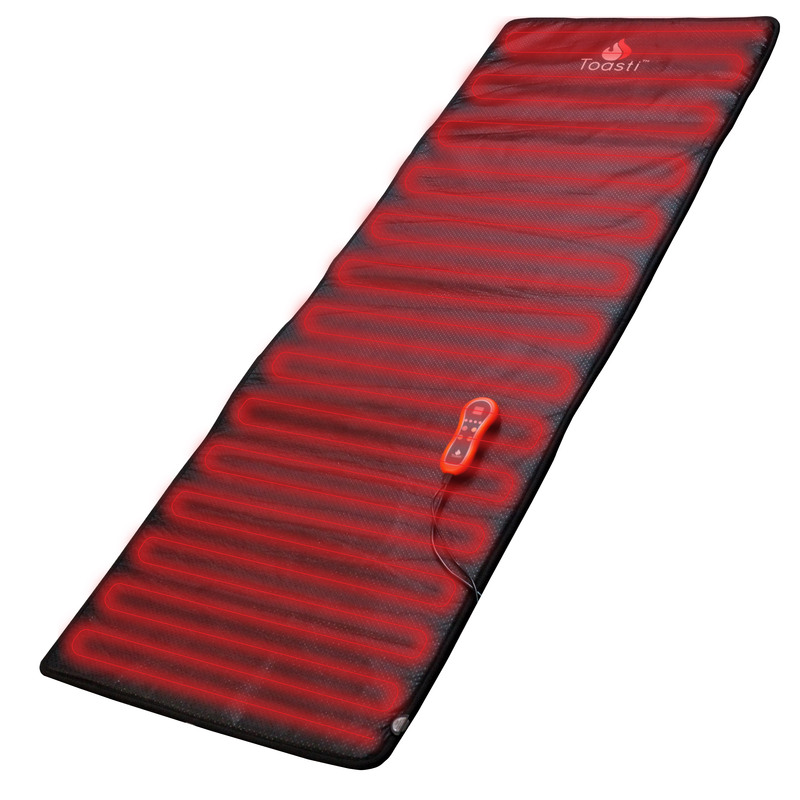 Customers quickly realized that the heat the mat provides can also work as relief for sore muscles or chronic illness. Because of this, Bargiel hopes to expand Toasti into a full line of products in the future.